By olduvai in Liberty on April 11, 2018 . 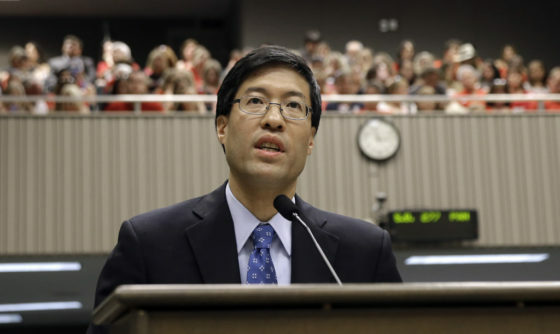 California Senator Richard Pan, the infamous fascist who forced a mandatory vaccination law through in order to rake in money from big pharma, has decided there should no longer be free speech for anyone other than the government. Pan’s new bill proposes to require “online fact checkers” to verify content before anything can be posted on the internet. Anyone who has ever said tyranny cannot come to America has been proven wrong. Pan’s new bill would basically outlaw questioning the government’s official narrative, and is reminiscent of the book burning days of Nazi Germany. The bill supposedly only targets social media in California, but as Jon Rappaport points out, once you read the bill, it applies to the whole of the internet. But that’s all beginning now, here, in the “land of the free.” Last week, SHTFPlan interviewed Sarah Leach who was detained without charges for survivalist posts on her own Facebook page. But we are expected to believe that DHS has no nefarious reasoning for compiling a list of all journalists, bloggers, podcasters, or as they like to call them: “media influencers”?